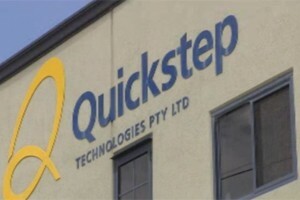 Quickstep has announced on Thursday that it has received new purchase orders for the F-35 Lightning II Joint Strike Fighter (JSF) from global aerospace and defense technology company Northrop Grumman. The new orders for the JSF parts were received during 3rd quarter 2012/13, under long term agreements already signed with the American firm. Just three weeks ago Quickstep announced that they were able to deliver the first parts to Northrop Grumman on schedule. The international F-35 Lightning II Joint Strike Fighter (JSF) program is the largest military aerospace program in the world, valued in excess of US$300 billion worldwide. Aside from Northrop Grumman, Quickstep is also currently partnering with some of the world’s largest aerospace/defence organisations, including the US Department of Defense, Lockheed Martin and Airbus. Including other contracts, Quickstep’s firm order book now exceeds $20 million, according to the carbon composites manufacturer’s website. Most of the orders are expected to be delivered before end 2013/2014 and the firm orders underpin significant growth in 2013/2014 revenue. In a media release the company announced that the JSF parts will be manufactured at the new Bankstown Airport Facility in Sydney. Quickstep Holdings also has offices in Germany and the United States. “This new purchase order from Northrop Grumman demonstrates the increasing significance of Quickstep’s role as a supplier to the Joint Strike Fighter program,” says Quickstep managing director, Philippe Odouard. Quickstep is an approved supplier of carbon fibre composite skins and sub-assemblies for the JSF program under various memoranda of understanding. According to the media release the overall agreement to supply JSF parts from different Original Equipment Manufacturers is valued at up to $700 million to the company over two decades. At peak production rates, the company is expected to generate JSF revenue of approximately $40 million per year.